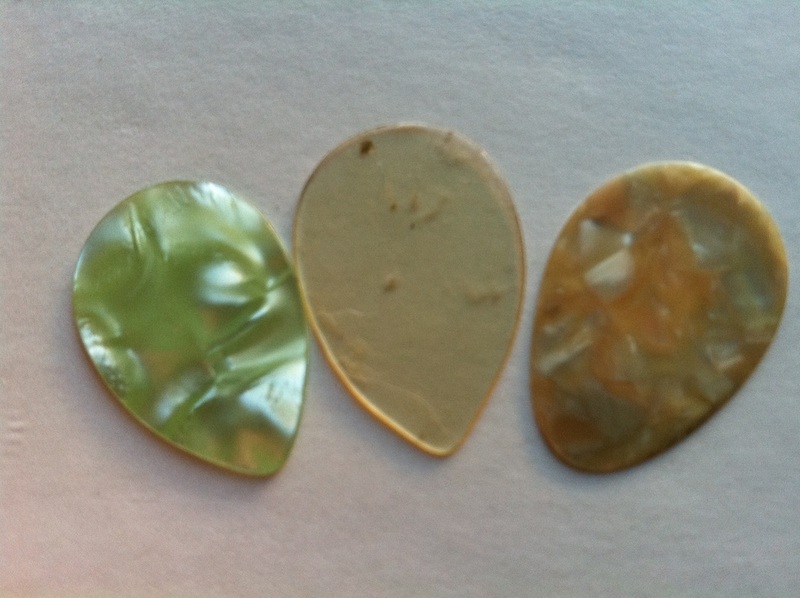 The 5 picks below were issued by Grover Allman in 2002, according to a Grover Allman rep I emailed. 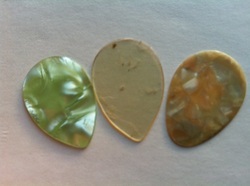 I have only acquired 5 of the 7 deadly sins. They were released w/a limited edition of only 77 and are very difficult to find. 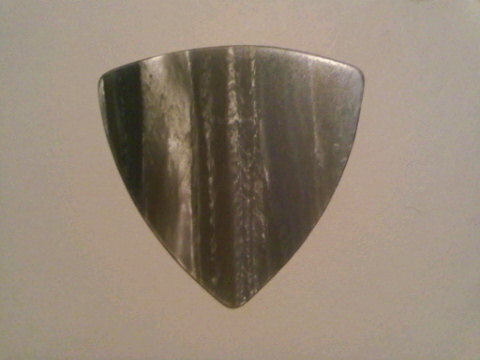 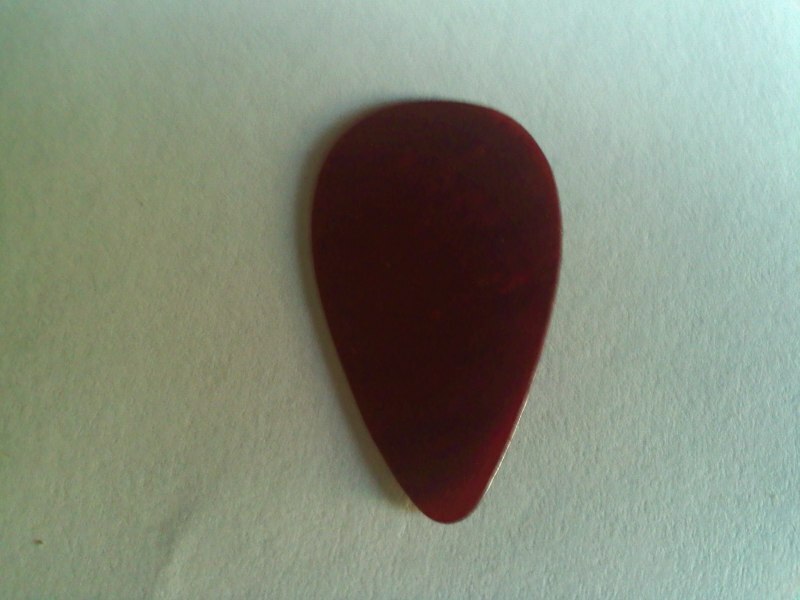 1940s unbranded teardrop hard rubber mandolin pick, bevelled. 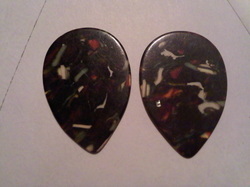 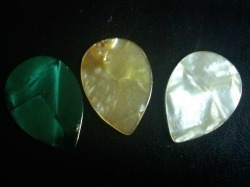 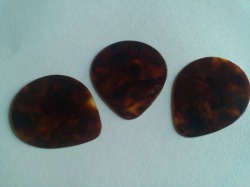 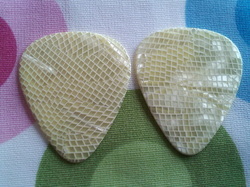 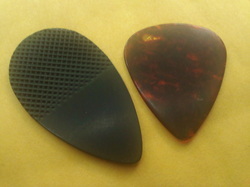 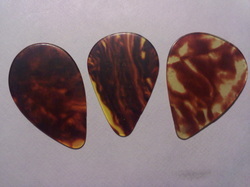 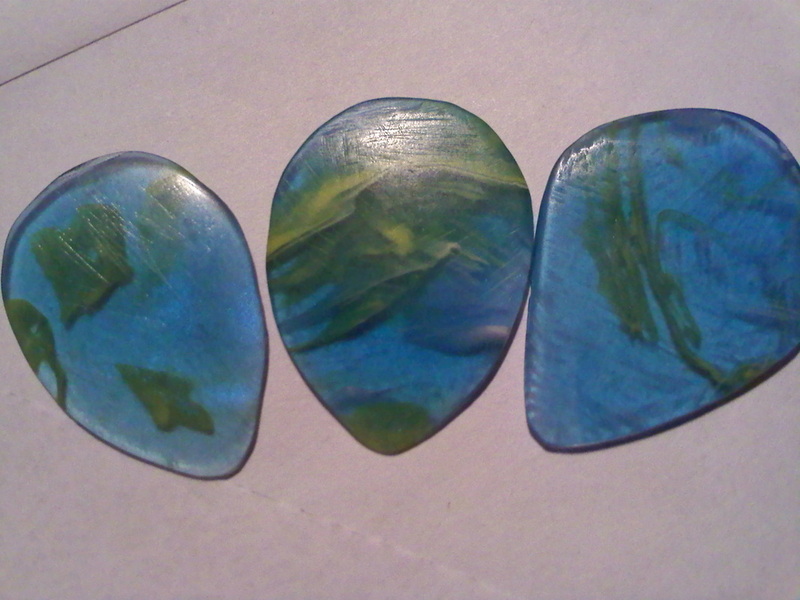 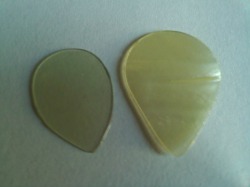 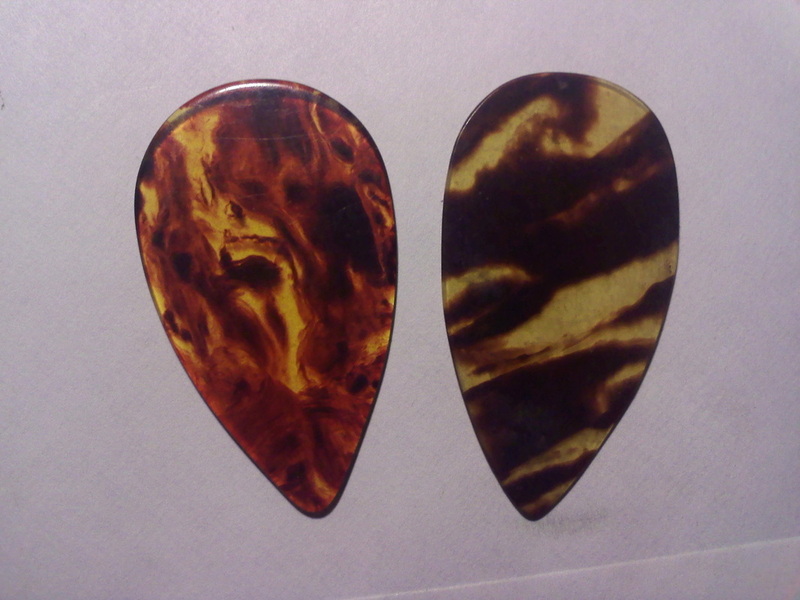 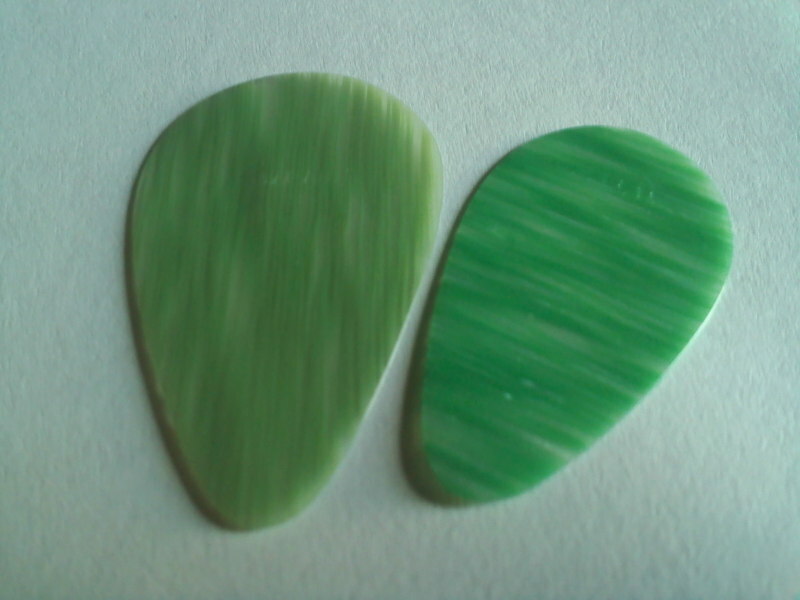 3 vintage dark tortoise celluloid mandolin picks. 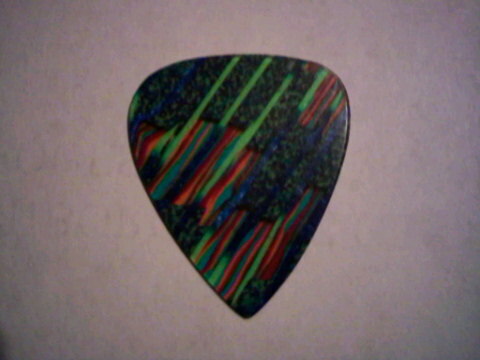 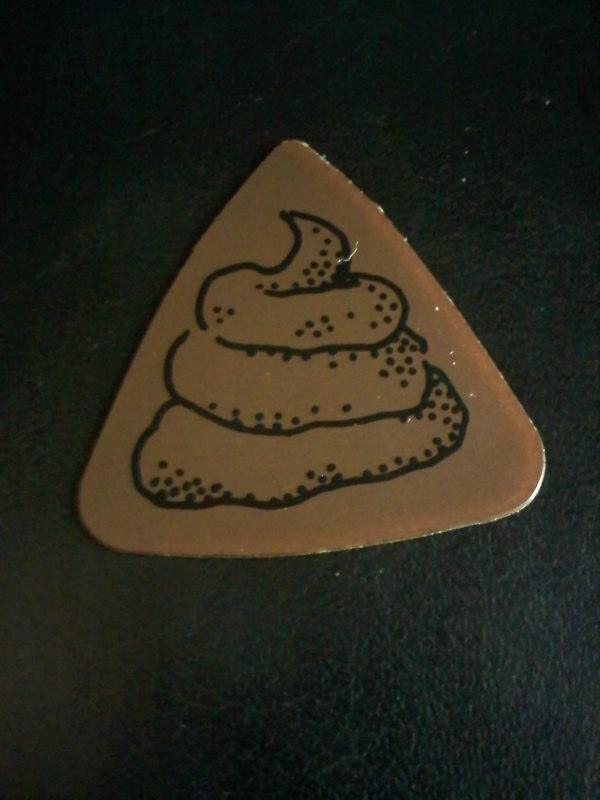 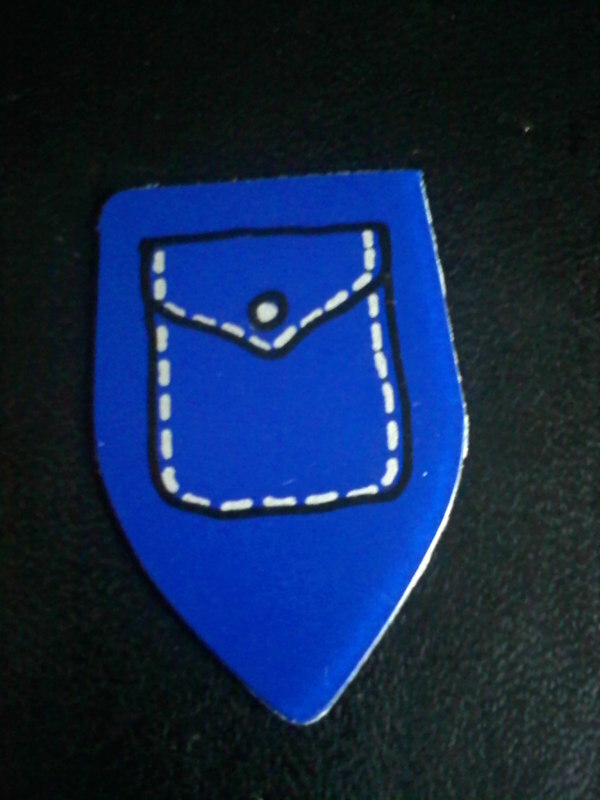 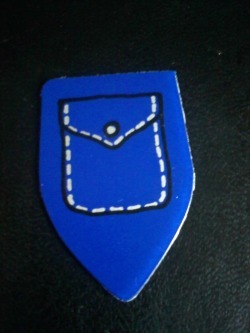 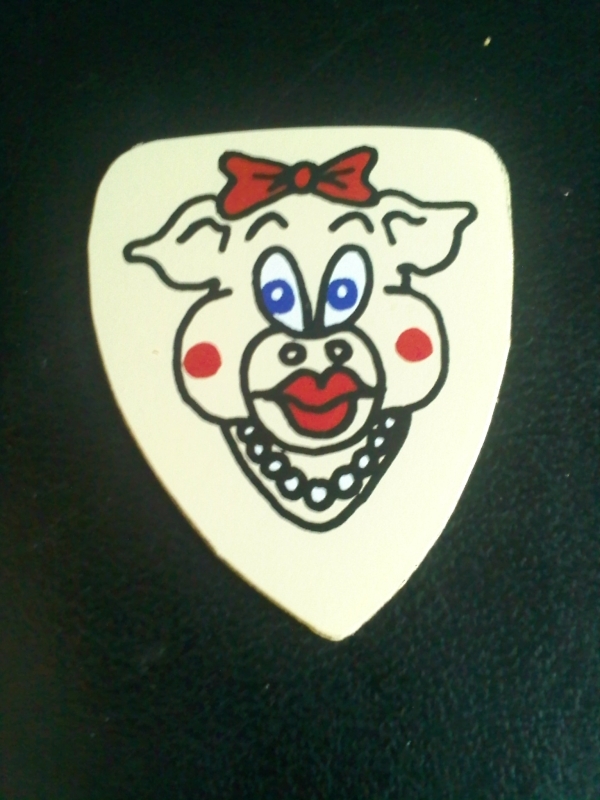 I love this pick. 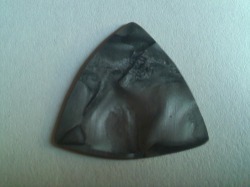 Vintage celluloid with a mixture of grays and silvers. 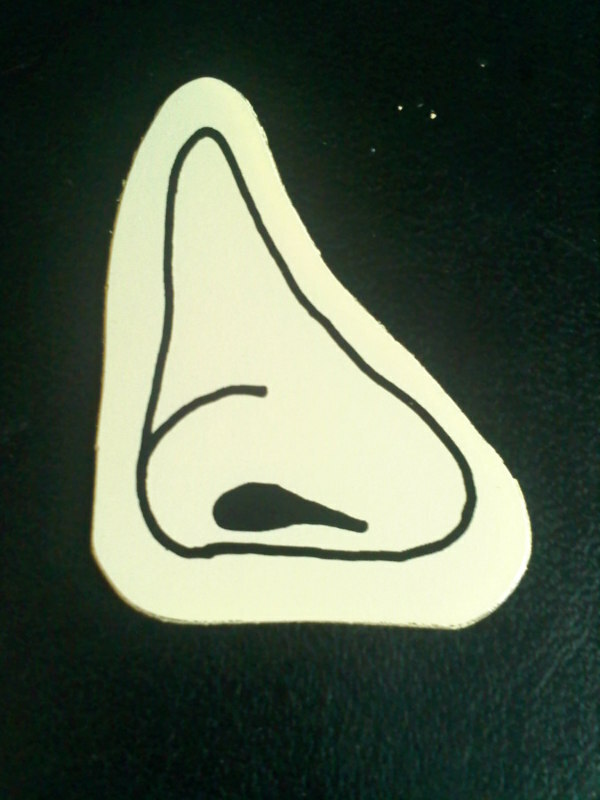 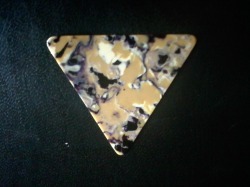 Eliptical shape. 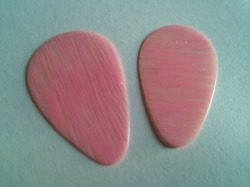 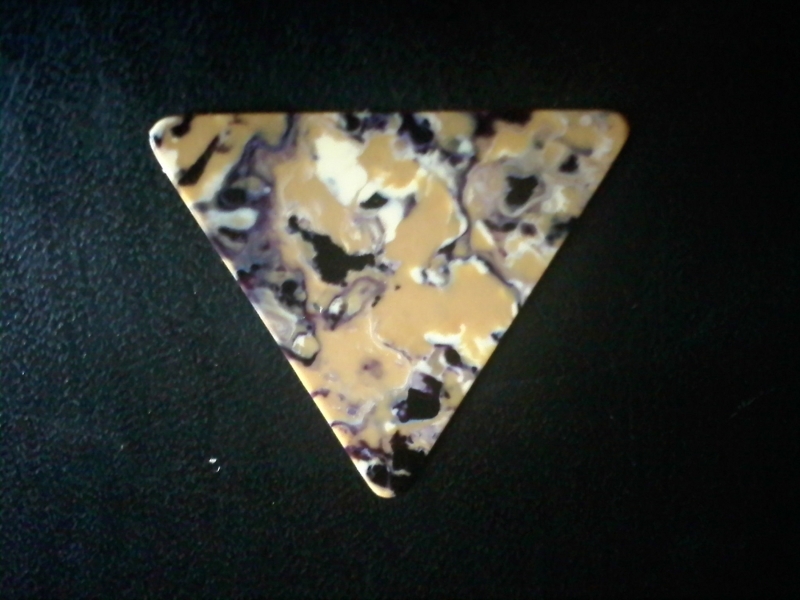 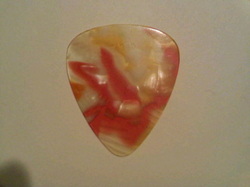 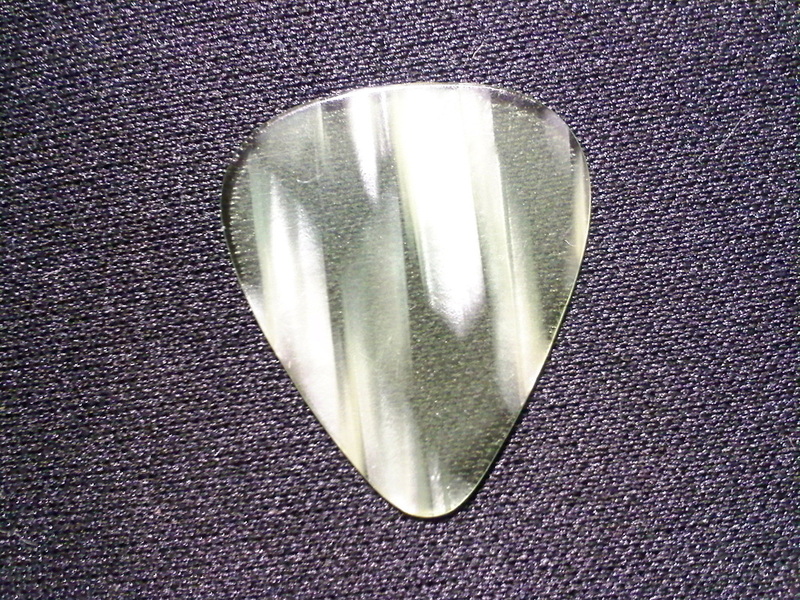 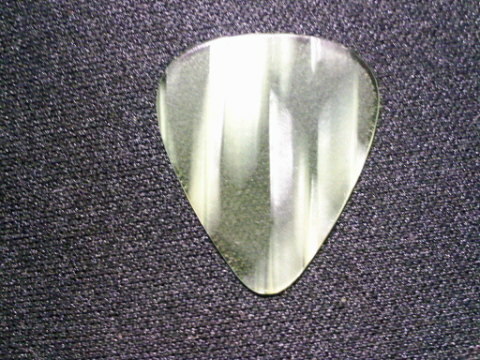 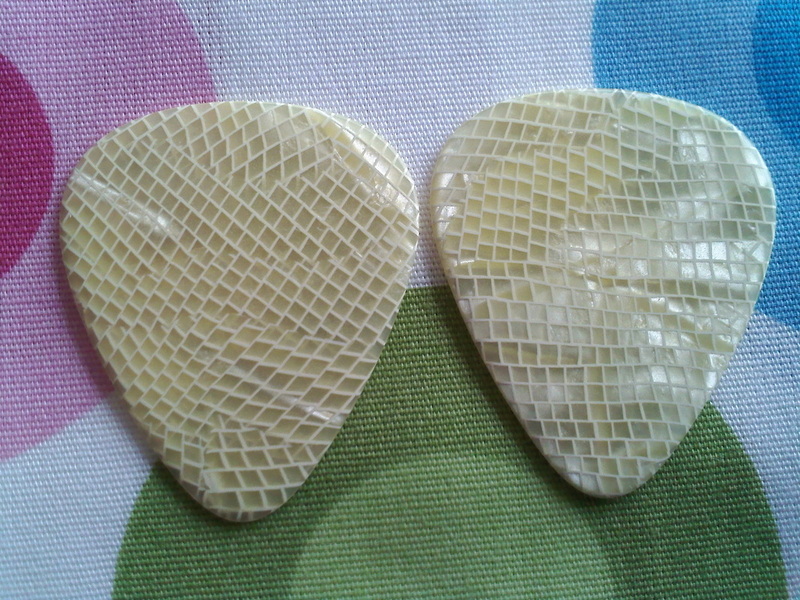 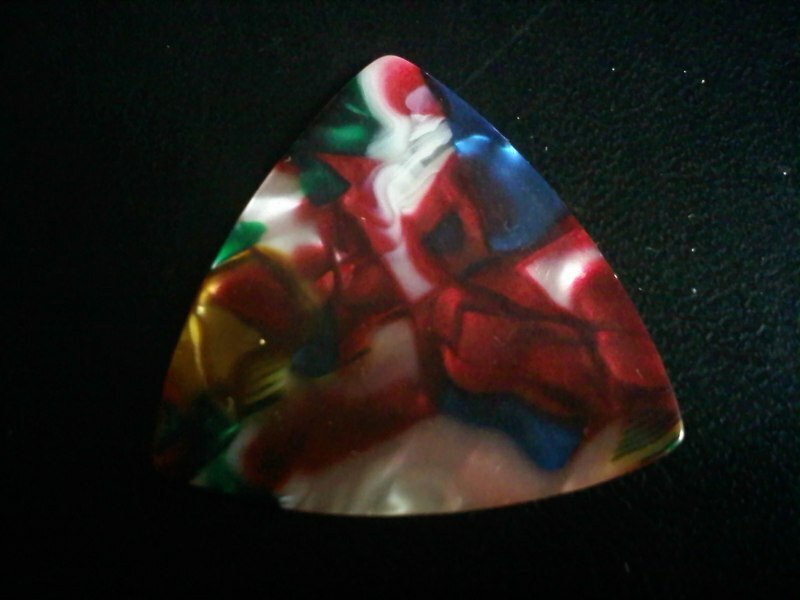 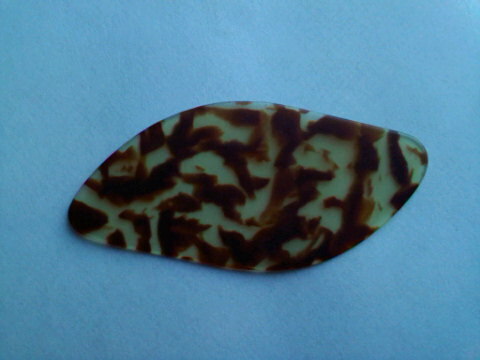 An absolutely gorgeous celluloid pick. 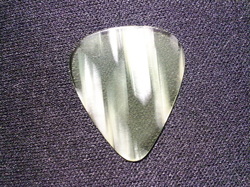 White and grayish colors. 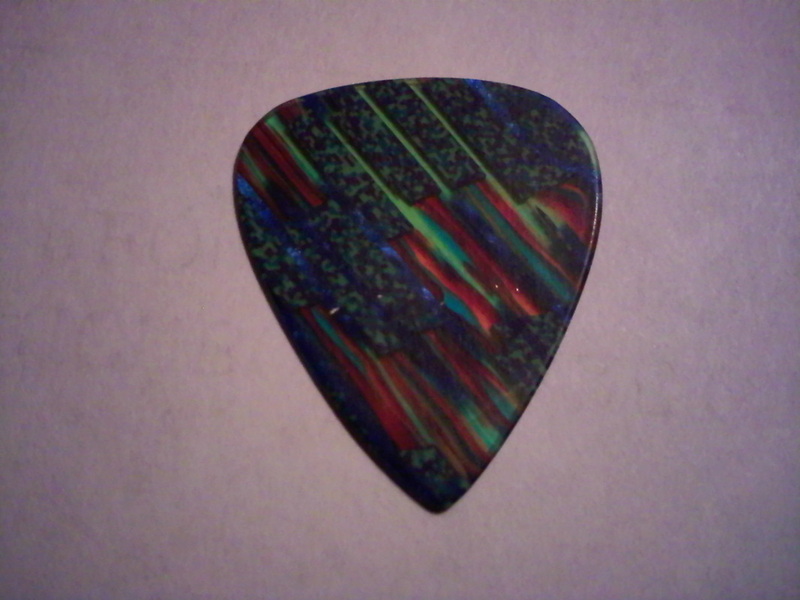 So hard to catch the beauty of this with a camera.